When chocolate cravings hit, they hit hard. 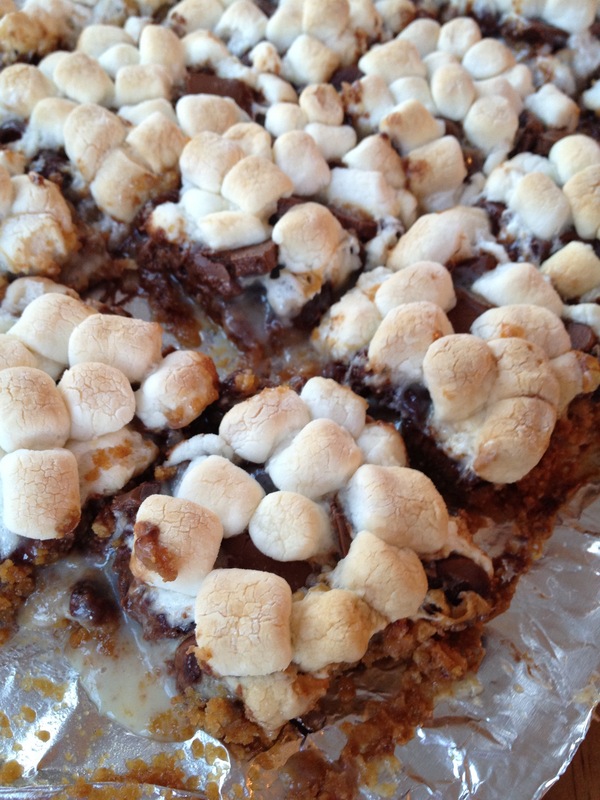 One of the (many many) great things about having kids is that it gives you an excuse to make ridiculously indulgent treats like these S’mores Bars. “They’re for the kids!” you say to anyone raising an eyebrow, or to yourself, as you polish off an entire row. 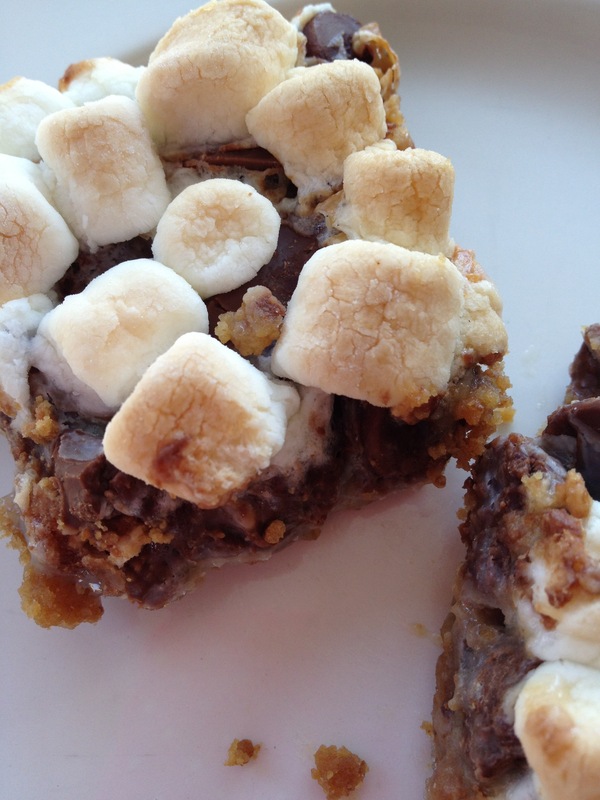 Two nostalgic treats in one, this campfire S’mores-inspired variation of classic Magic Cookie Bars is worth the calories – scout’s honor! 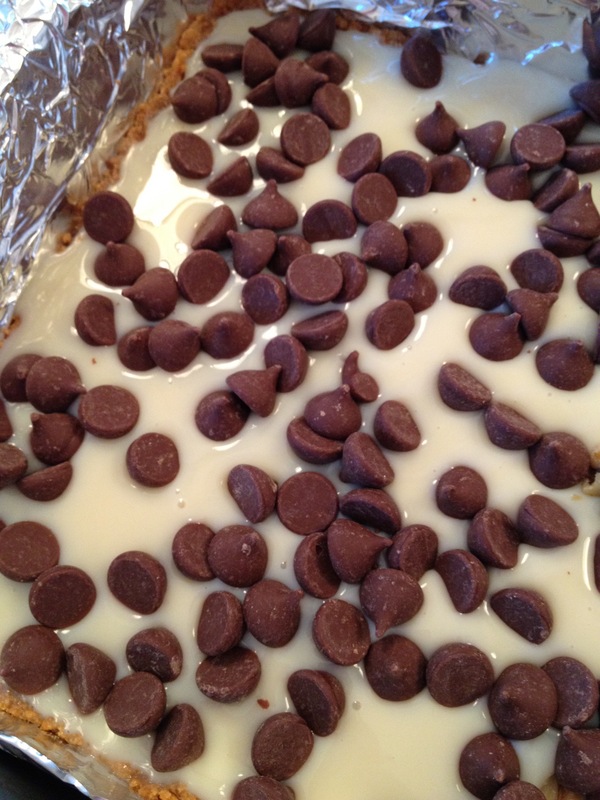 I’m sure they would freeze well, as do traditional Magic Bars (or this holiday version of M&M’s® Brand Magic Bars), but I don’t think I’ll get the chance to find out with this batch; it’s hard to keep chocolaty desserts around for long because of the kids. Heat oven to 350º. Line a 9×13” pan with aluminum foil. In a microwaveable bowl, add butter and microwave 1 minute or until melted. 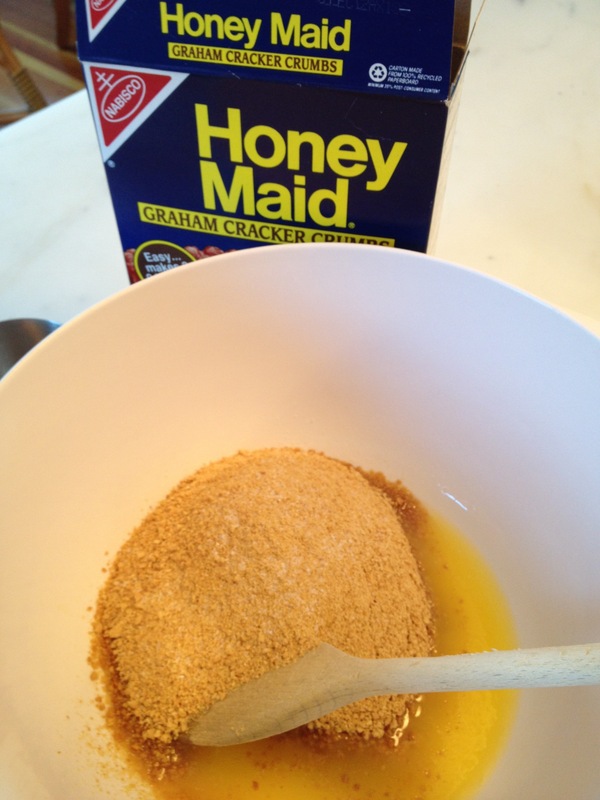 Add salt and graham cracker crumbs and mix. 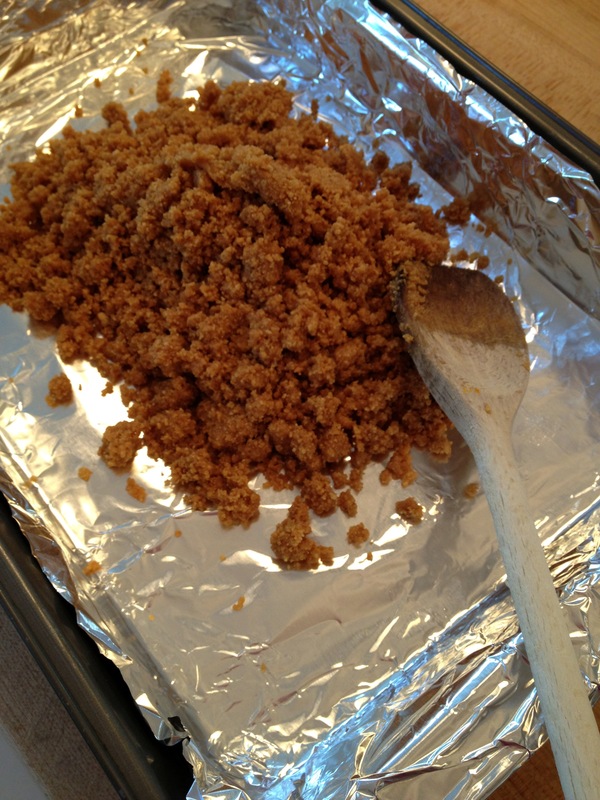 Add crumb mixture to prepared pan and press to form a flat, even layer. Bake for 5 minutes. 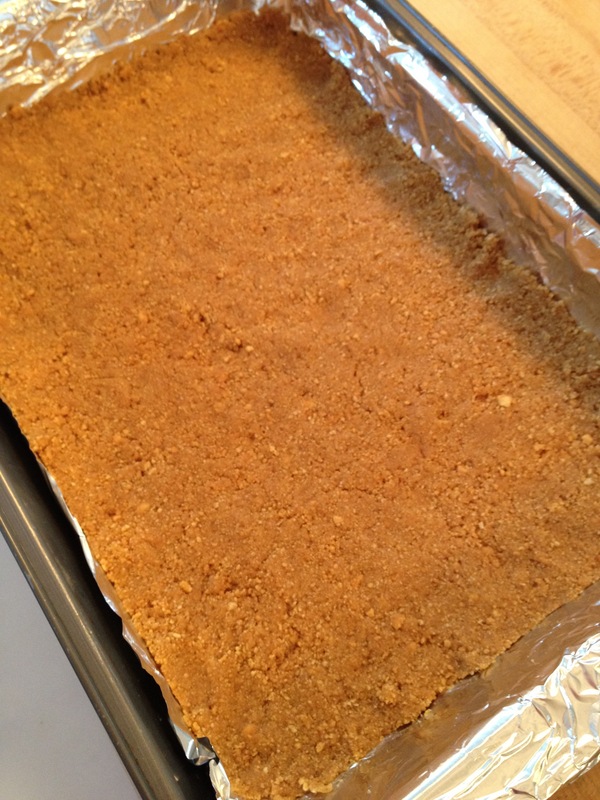 Remove from oven and pour condensed milk over crust; spread into an even layer. 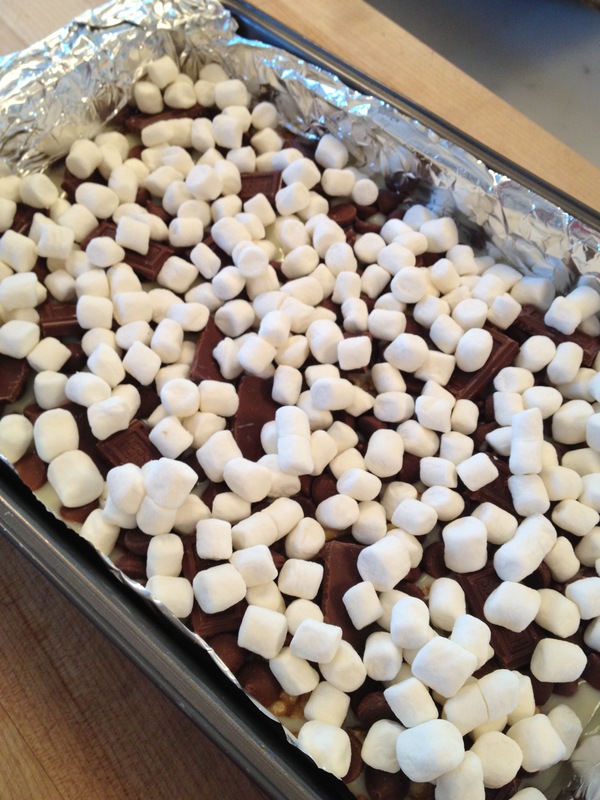 Sprinkle with Mini Kisses and then top with mini marshmallows. Press down lightly. 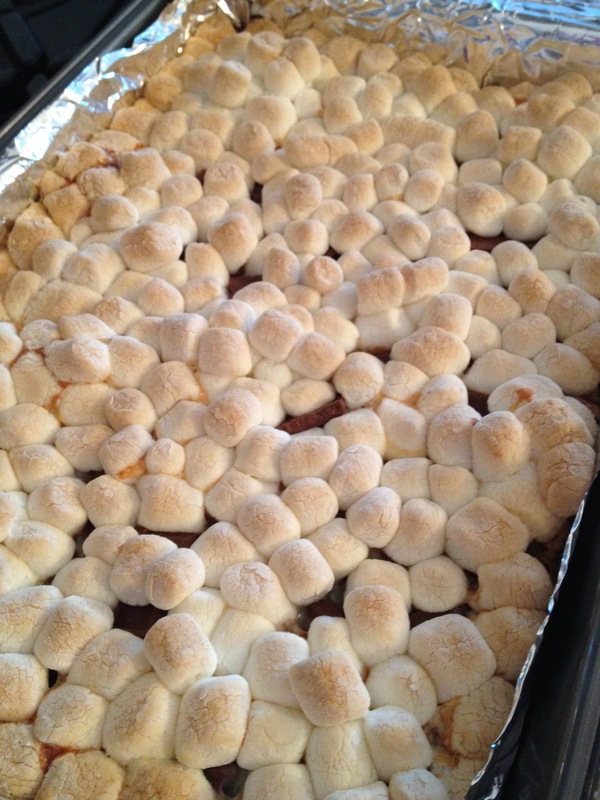 Bake 25 minutes or until marshmallows are golden brown. 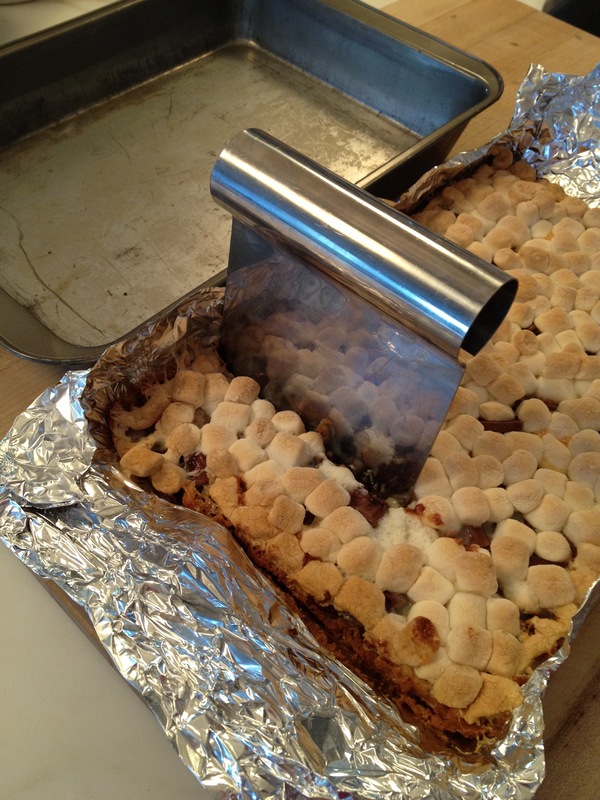 If you can resist, cool thoroughly before removing foil and cookies from pan and cutting into squares. (Note here my trick of using a dough scraper to cut the bars.) Store covered at room temperature. Gooey goodness! In this batch I added a few Hershey bar segments to the bag of Mini Kisses, which even I have to admit was maybe too much of a good thing. 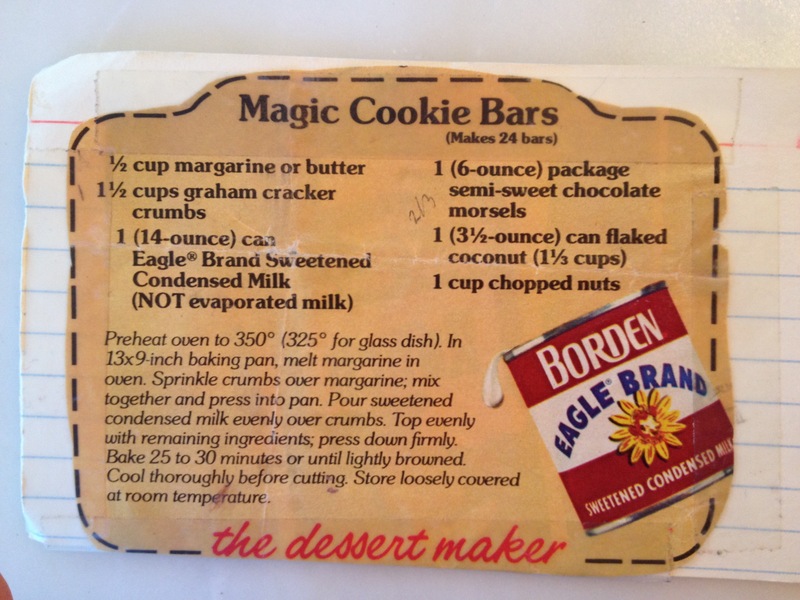 The original, swiped from Mom’s recipe box. 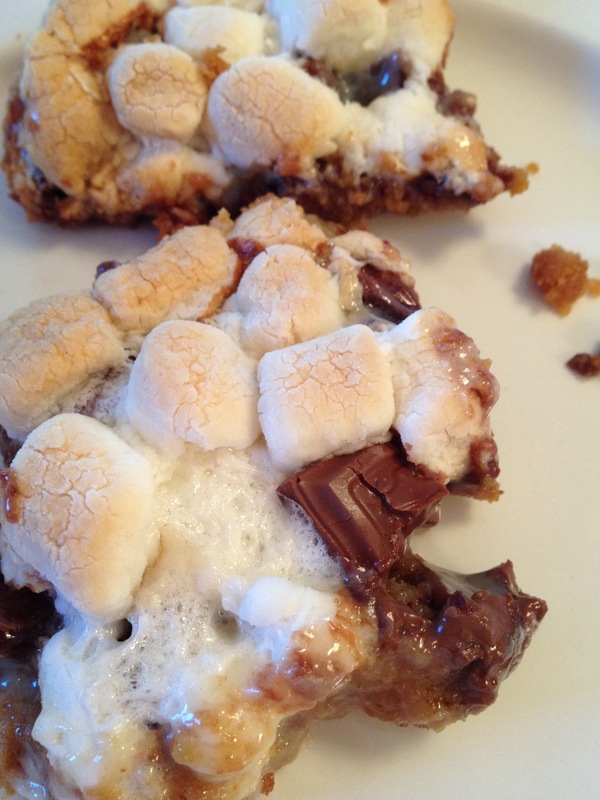 This entry was posted in Cookies, Desserts and tagged baking, cookies, Hershey's Mini Kisses, Magic Bars, retro desserts, S'mores bars by subeeskitchen. Bookmark the permalink. Sue, I made these bars with Cameron the other night. How decadent! I haven’t made a dessert that I couldn’t keep my fingers away from in a long time. These are delicious, and so easy to make. Unfortunately, I was hoping to freeze some for the holidays… but no such luck. Too yummy! 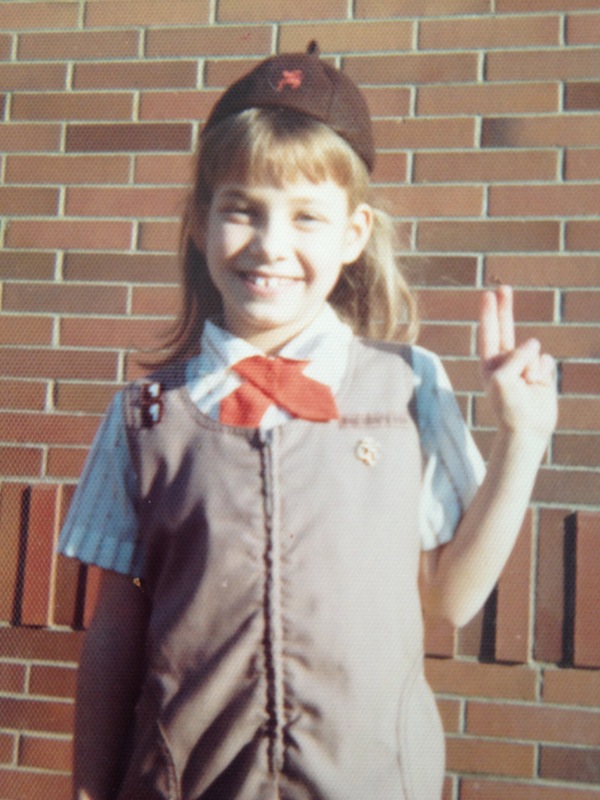 Thanks for another winner, Sue!